NISA has announced that it will be bringing Touhou Genso Wanderer to PlayStation Vita and PlayStation 4 early next year (yep, more Vita games into 2017!). This is a roguelike JRRG set in the Touhou Project universe, and it looks like it's a fairly traditional one. That means lots of loot, lots of grinding, and those pesky random dungeons that have a habit of throwing nasty curveballs right when you weren't expecting it. One day, Reimu Hakurei is visiting Rinnosuke Morichika at his shop, Kourindo. He shows her one of his prized possessions, the golden sphere. However, when she touches it, it unleashes a mysterious beam of light. Rinnosuke starts acting strange, and a giant tower now stands where Kourindo used to be. The population of Gensokyo has also been replicated by clones who attack people on sight. As the Hakurei Shrine Maiden, it is Reimu's duty to resolve this latest incident and bring peace back to Gensokyo. Along the way, she is joined by Futo Mononobe, who has recently set out on a quest to become a first class sage. 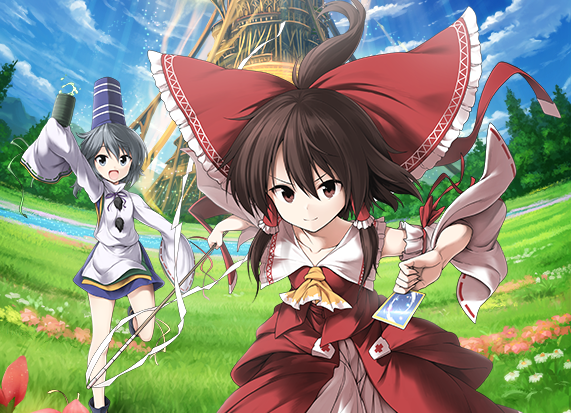 With her partner in tow, can Reimu make her way through the dungeons of the tower and put an end to this incident? As you can see in the trailer, it's got some gorgeous anime stylings and it's very heavy on the female characters. If it all looks unfamiliar to you, then don't fret; though the series has been around in Japan for quite some time, this is the first time it'll be coming out our way. I'm always up for traditional JRPG roguelikes, and I'm actually really excited to have this on my PlayStation 4, as the traditional roguelike is one of the few genres that is underrepresented on it so far. So this is a game I'll be keeping a very close eye on in the months ahead.